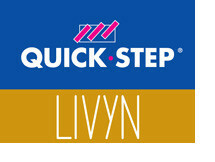 We offer trade prices (to the public) on the Quick Step Balance Glue range of flooring by Livyn along with a first class service. Livyn’s balance glue plus is a high quality luxury vinyl flooring (LVT) that is suitable for any room, including kitchens and bathrooms. It is available in a range of styles and Floorbay also provide the Quick-Step range of accessories including underlay, finishing profiles and adhesives. Quick Steps Balance Glue Plus is a very affordable choice, especially when compared to the “big name” brands – saving you money.